DEAR JERRY: What was the first CD single in the U.S? DEAR DAVE: Many feel A&M's promotional CD single of "Don't Stand So Close to Me '86" by the Police is the first one issued in the U.S. (A&M CD-17435). So far, I know of no one who has taken issue with that opinion. The purpose of this promo was to demonstrate that the 1986 remix, on the album "Every Breath You Take - The Singles" (A&M 3902), differs from the 1981 Top 10 hit, "Don't Stand So Close to Me" (A&M 2301). Running 4:48, the '86 remix is also :45 longer than the 1981 single (4:03). Recent sales of the "Don't Stand So Close to Me '86" CDS are in the $30 to $40 range. 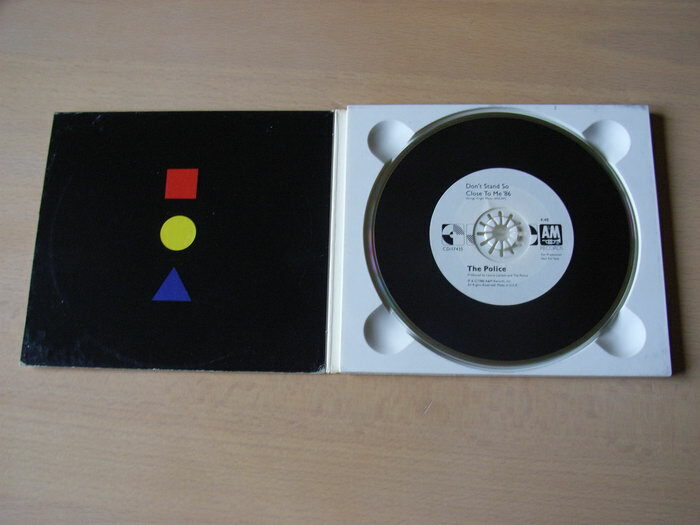 More than a year before the Police promo, CD singles were available overseas, especially in Europe and Japan. One in particular, manufactured in 1985 by Phonogram of West Germany specifically for the UK market, is Dire Straits' "Brothers in Arms (Special Edition - Live in '85)" (Vertigo 884 285-2). This number is important for identification, as reissues exist but not with this Vertigo number. "Going Home (Theme from 'Local Hero')" (Live)"
With only a couple hundred made, collectors have been paying around $200 for an original "Brothers in Arms" with its tray inserts. DEAR JERRY: I frequently attend baseball games where it is customary for someone to sing "The Star-Spangled Banner." 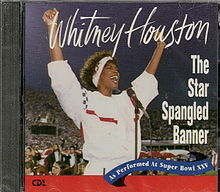 Considering the Anthem has been around longer than recordings, how often did someone turn it into a successful single. DEAR LUCY: Hundreds have recorded "The Star-Spangled Banner," but only few qualify as hit material. It was first written as a poem in 1814 by Frances Scott Key, while being held in Chesapeake Bay aboard one of the British Royal Navy ships bombarding Fort McHenry. By "the dawn's early light" Key noticed "our flag was still there," and he began to write. Fort McHenry withstood the overnight attack, and the British retreated. Key's words were later set to music which may be credited to either John Stafford Smith or Samuel Arnold. On March 3, 1931, it became the official National Anthem. Led by Patrick Sarsfield Gilmore, an orchestral arranger who is credited as the first to blend the brass and reed sections, an amalgamation used by big bands to this day. In 1861, during the Civil War, Gilmore and his entire band enlisted as a unit, serving with the 24th Massachusetts Volunteer Regiment. Near the end of the war, Gilmore, using the pen name Louis Lambert, wrote the very popular "When Johnny Comes Marching Home." By the first-born of President Woodrow Wilson's three daughters. This, her only hit record, was popular two years into President Wilson's first term. Fronted by Charles Adams Prince, they also worked as Prince's Military Band, the Columbia Band, and the Columbia Orchestra. Between 1905 and 1924, this outfit had over 90 best-sellers for Columbia. Prince's Band also backed countless other artists recording for Columbia, including the aforementioned Margaret Woodrow Wilson. Immensely popular Irish tenor on both sides of the Atlantic. For 20 years (1910-1929), one of the Top 5 male vocalists. First charted version of the modern era, and the first since 1917. Feliciano's distinctive folk-blues arrangement, performed live in Detroit during the 1968 World Series, didn't set well with everyone, but it turned out to be his third biggest seller (after "Light My Fire" and "Hi-Heel Sneakers"). Recorded live at Super Bowl XXV. First issued as a one-track CDS, then a year later with a second song, "It's All Right" (CSK-0553). Nice a cappela version by this Texas sextet. Repackaged CDS of the 1991 performance. Issued right after Sept. 11th with "Whitney Houston and Arista Records donating their royalties and net proceeds from the sales to the New York Fraternal Order of Police and The New York Firefighters 9/11 Disaster Relief Fund." Recorded live in 2000 at Super Bowl XXXIV in Atlanta. Kimberly Perry with brothers Neil and Reid, previous Grammy, CMA, and CMT award winners. IZ ZAT SO? The donation of royalties from "Star-Spangled Banner" sales in 2001 is not the first time revenue from this tune benefited a worthy cause. That's the 1915 single by Margaret Woodrow Wilson, backed with "Medley of Patriotic Airs": "America"/"Yankee Doodle"/"Columbia, the Gem of the Ocean"/"Marching Through Georgia"/"Dixie," played by the Columbia Band (a.k.a. Prince's Band). "[This is] The Panama Pacific International Exposition Souvenir Record, price $1.00 (U.S. or Canada). If sold by the Columbia Graphophone Company shall yield to the American Red Cross the sum of 25 cents covering my entire royalty"